European Polyester Spray Filler is a uniquely formulated polyester that fills like a polyester putty, but sprays and flows like a high build primer. 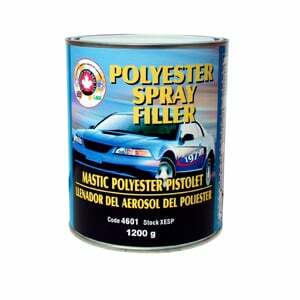 It can be used over top of body filler, polyester putties, GRP, metal and wood. It is incredibly easy to sand, and pinhole free.